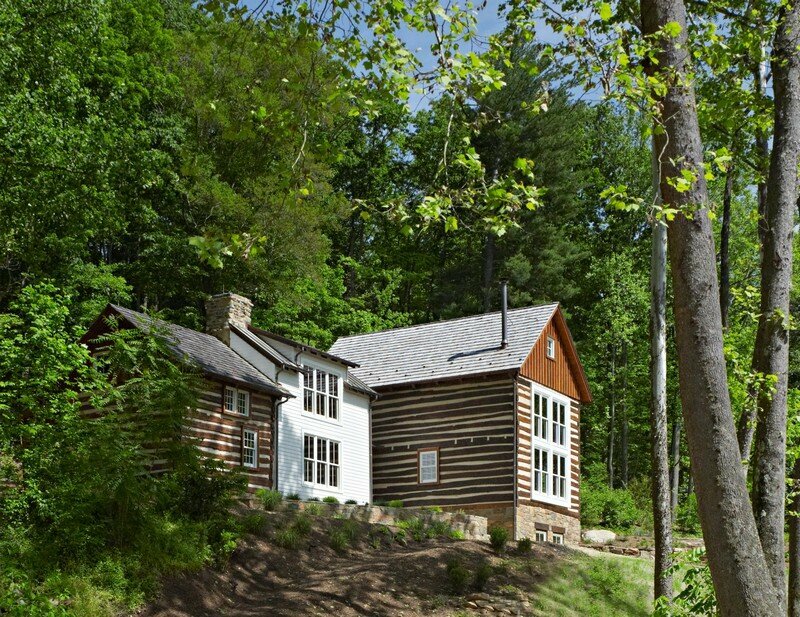 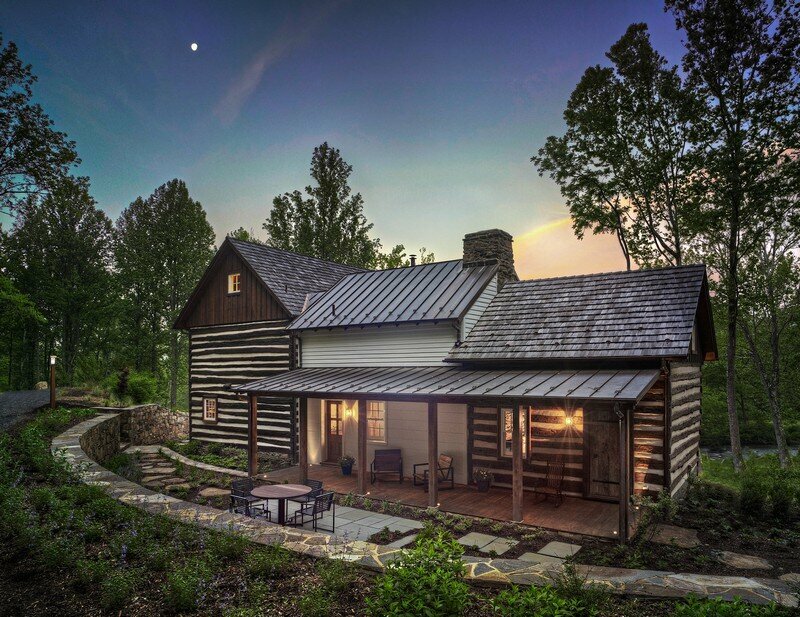 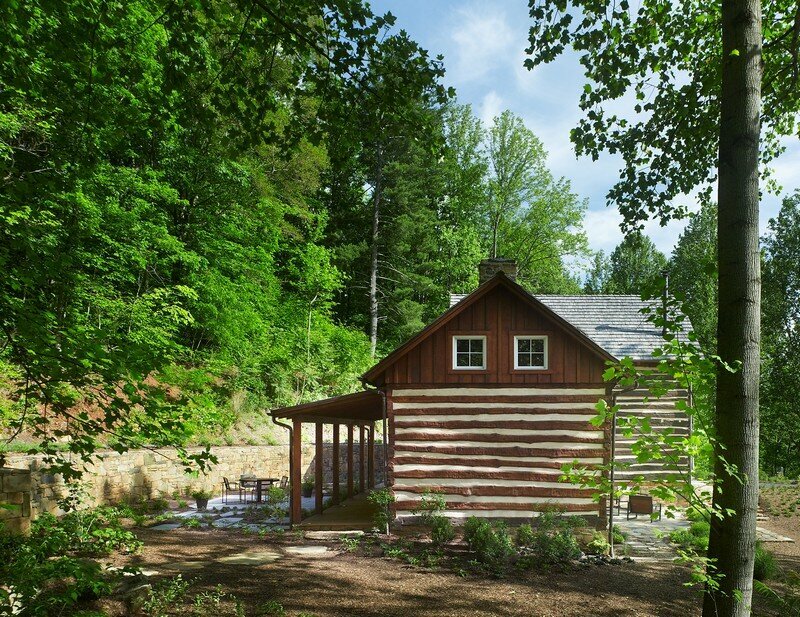 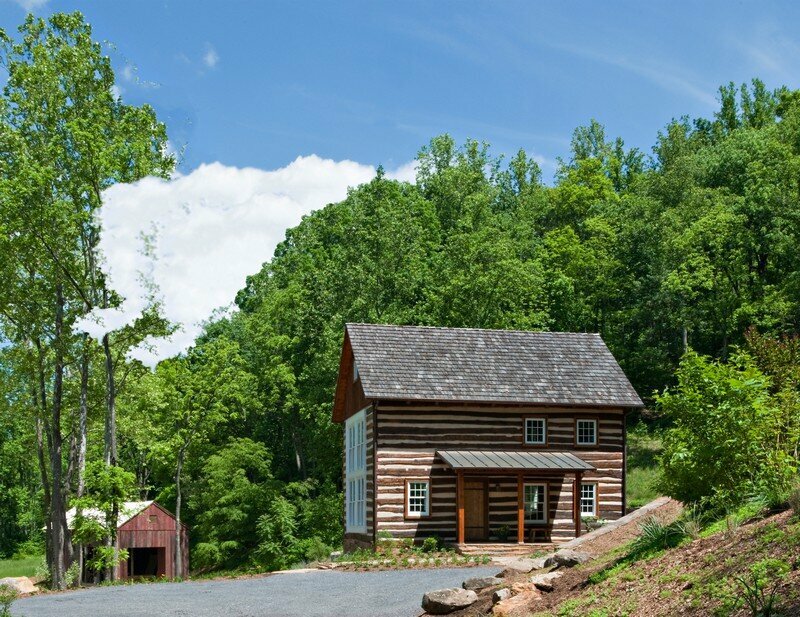 Hazel River Cabin is a weekend retreat rebuilt and modernized by Bonstra Haresign Architects in Rappahannock County, Virginia, US. 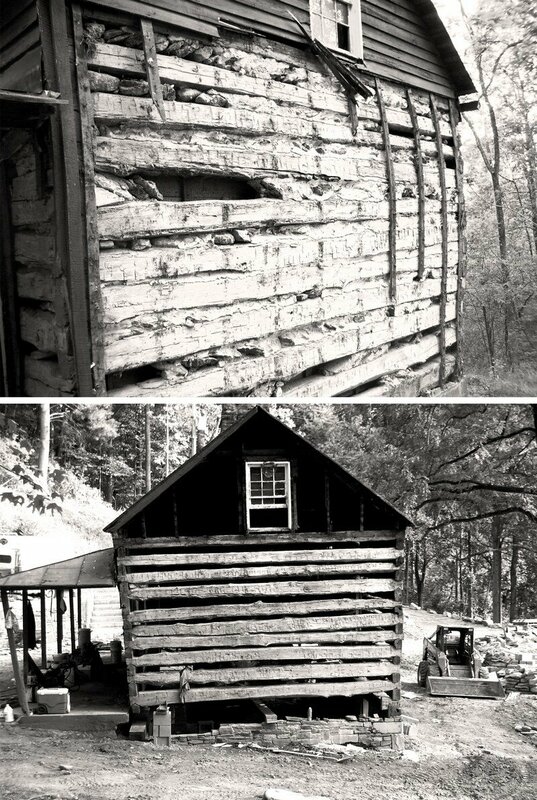 Description by Bonstra Haresign: A 1794 log cabin, 1856 clapboard addition and imported slave quarters were combined to create the Hazel River Cabin, a rural weekend retreat. 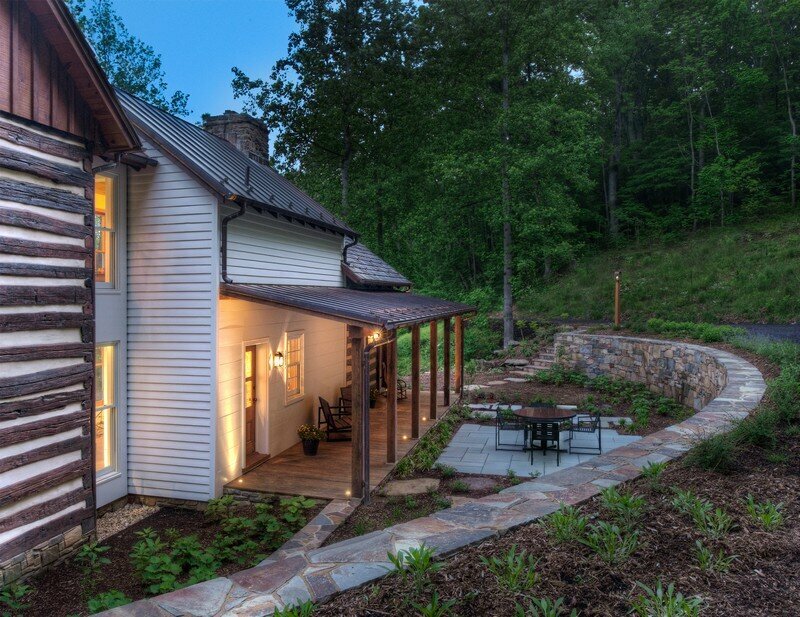 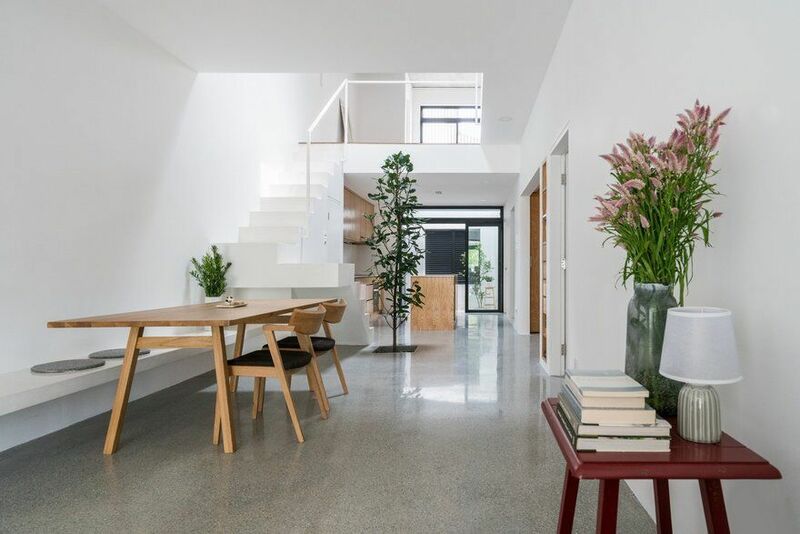 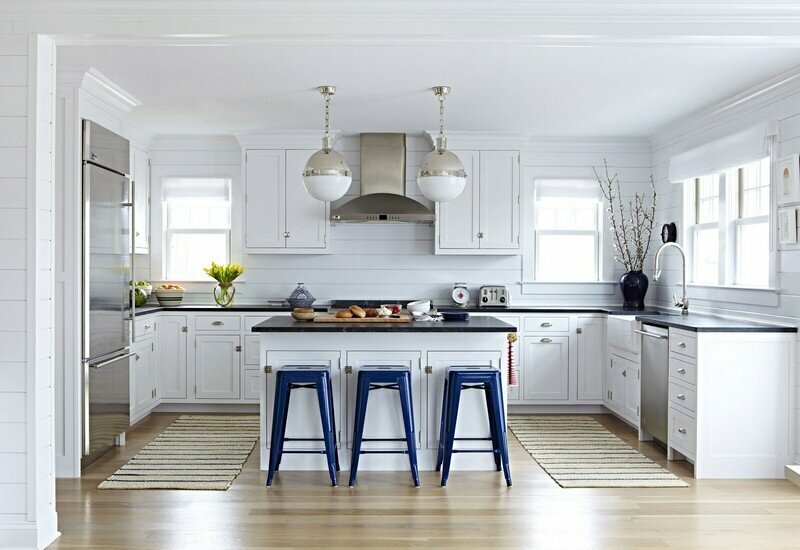 These historic cottages retain their original character while having been renovated for contemporary life. 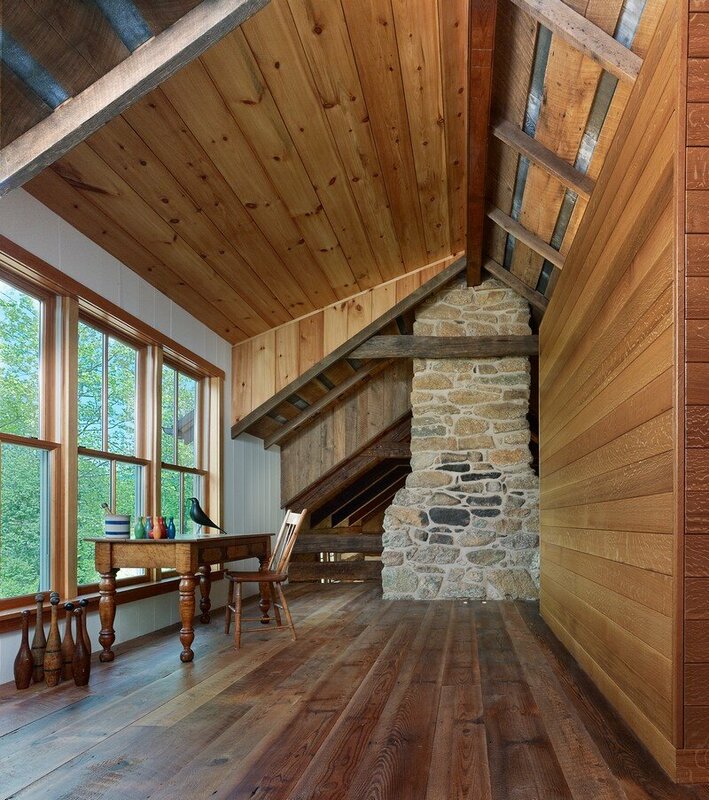 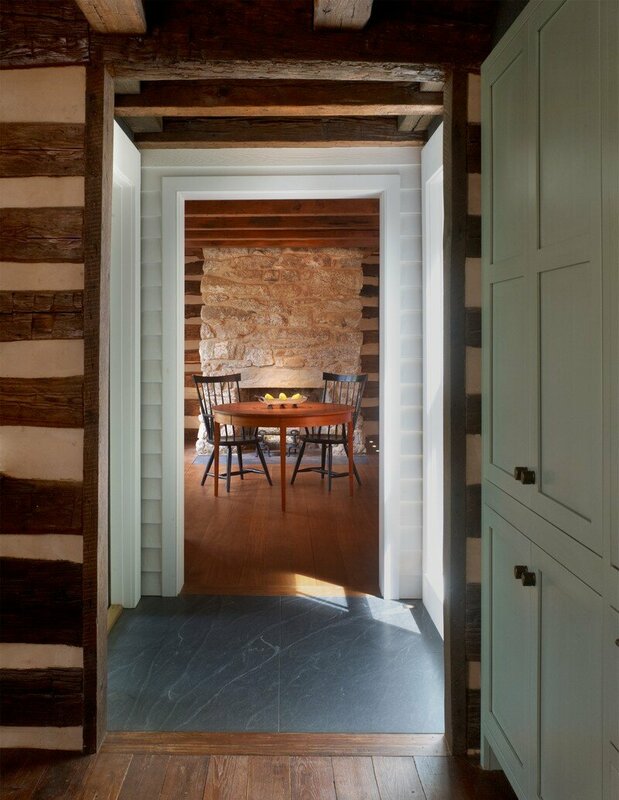 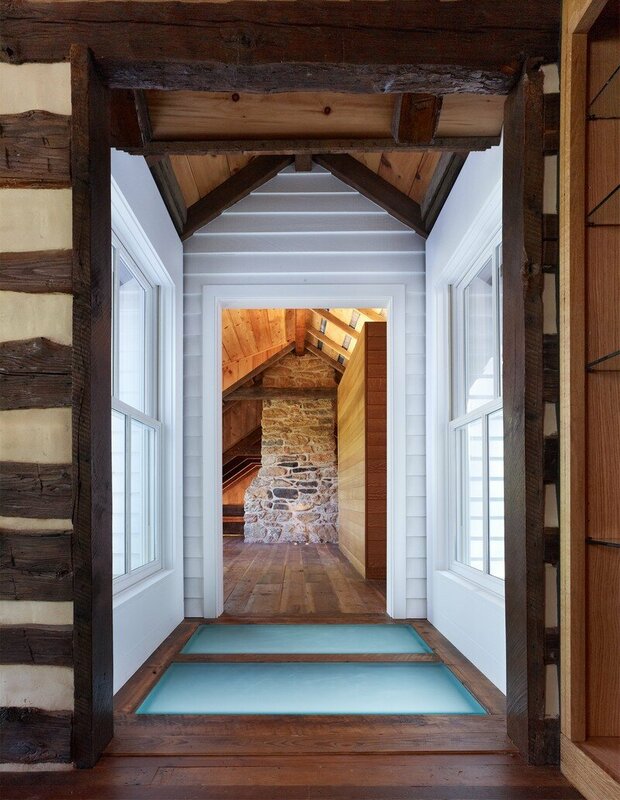 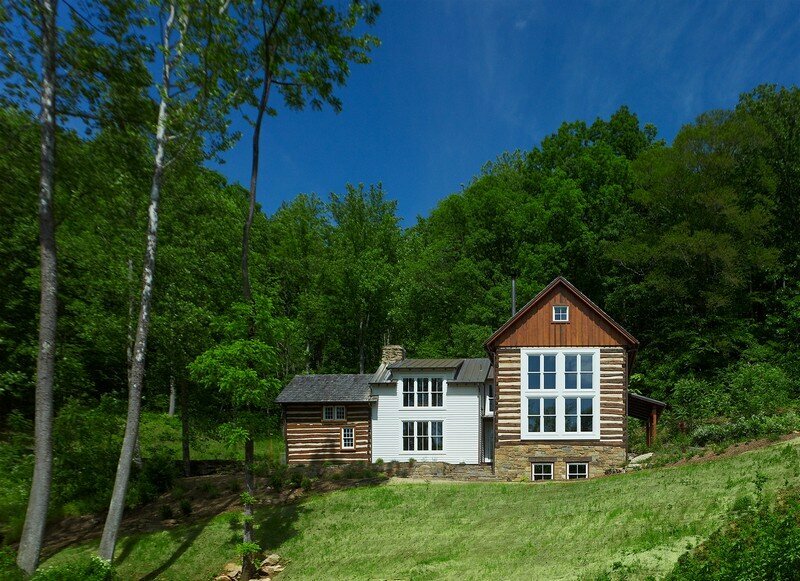 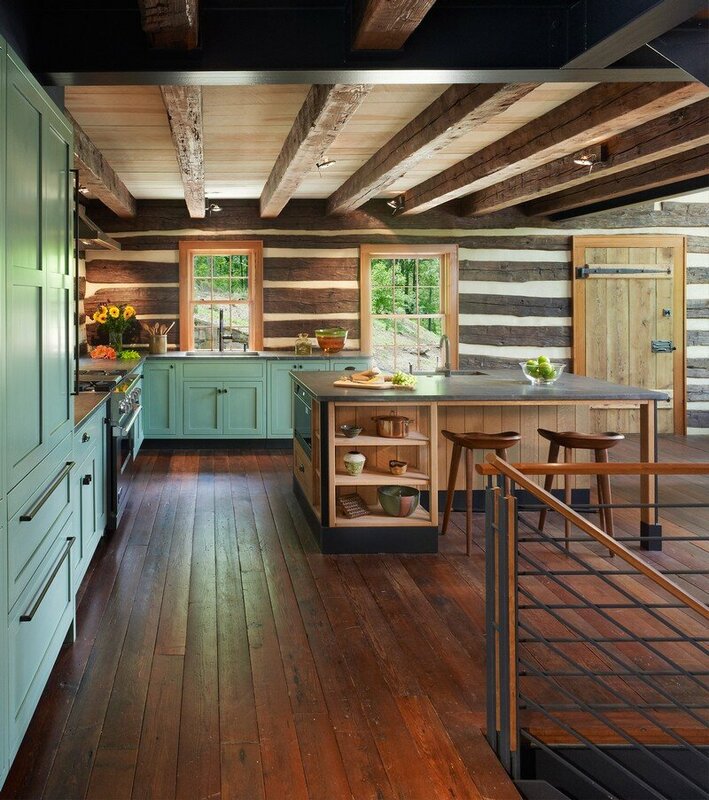 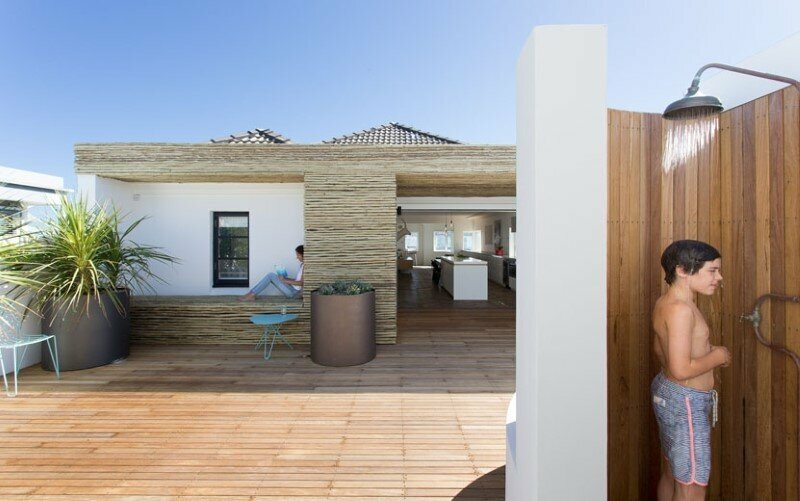 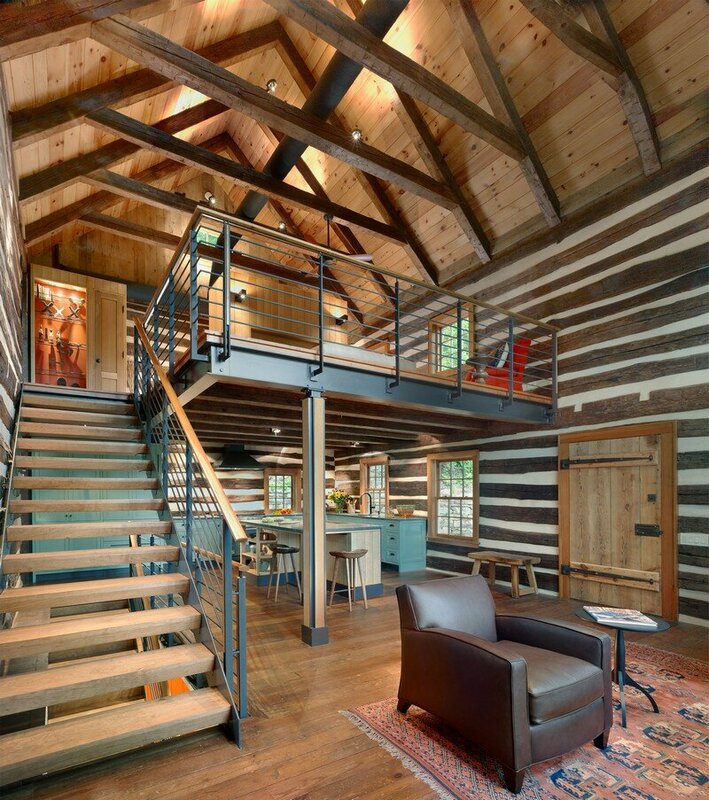 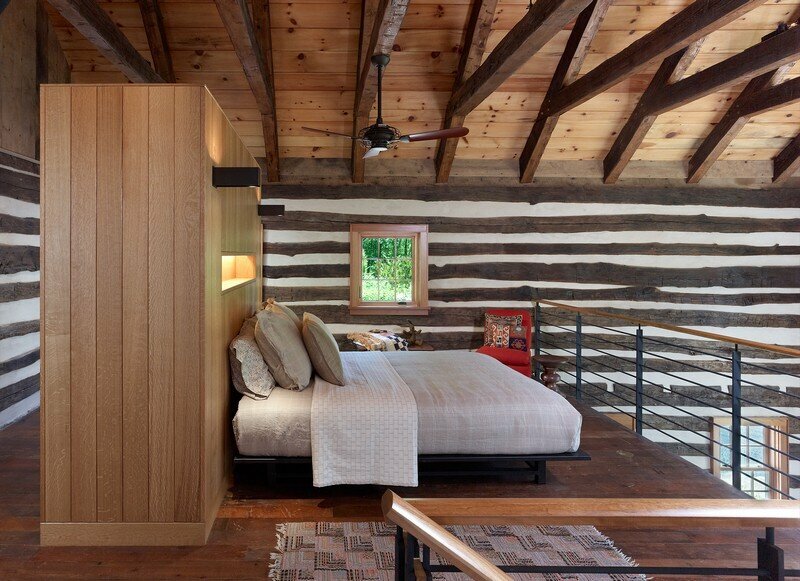 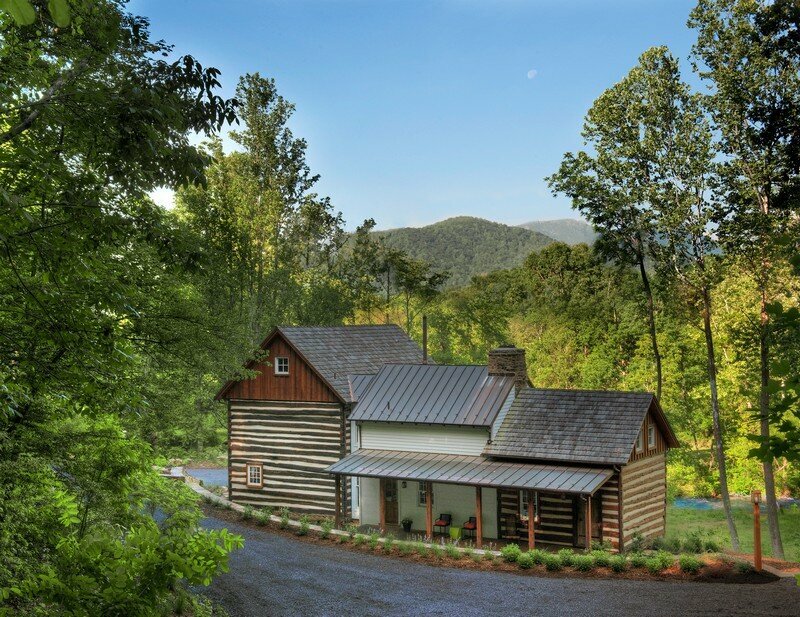 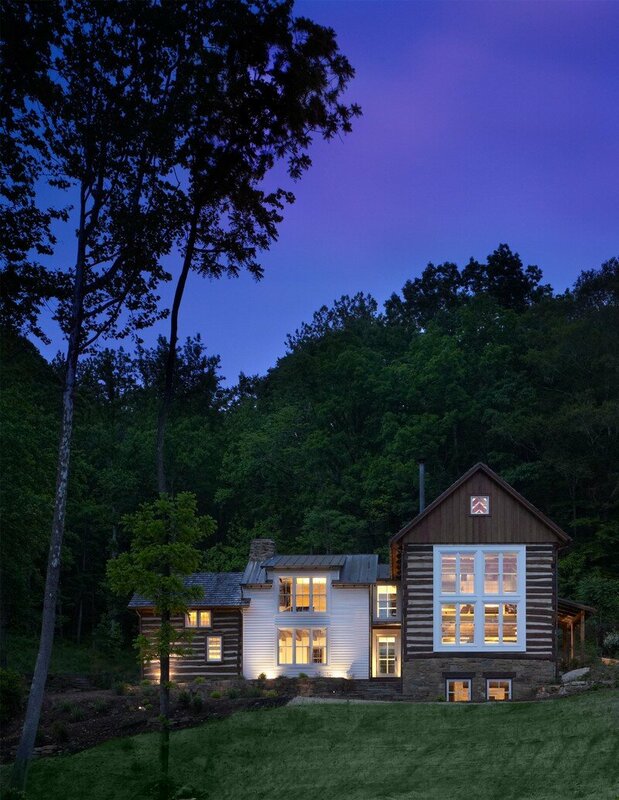 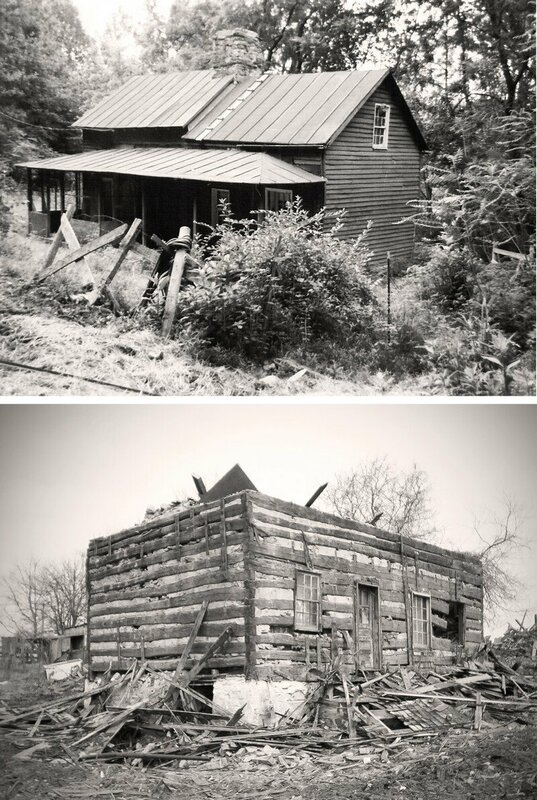 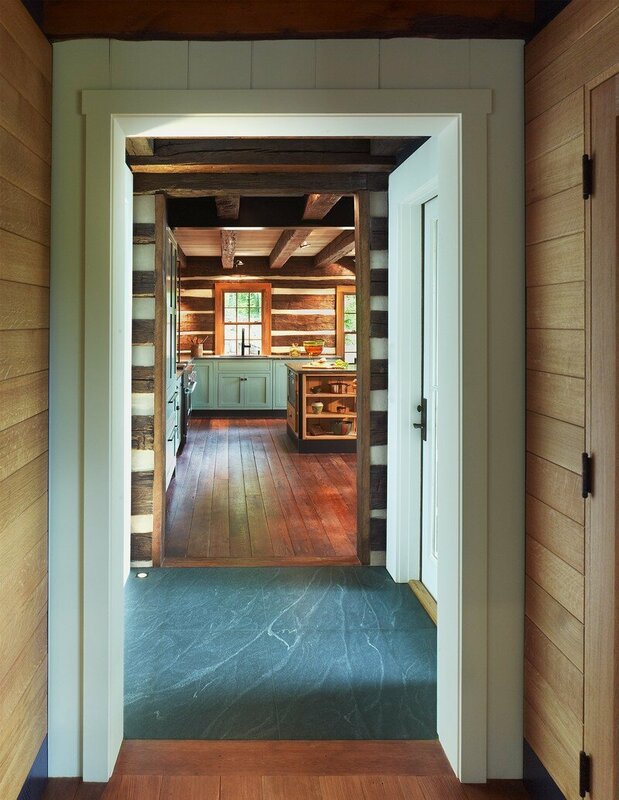 The removal of some floors creates double-height living spaces that reveals the beauty of the original log structures. 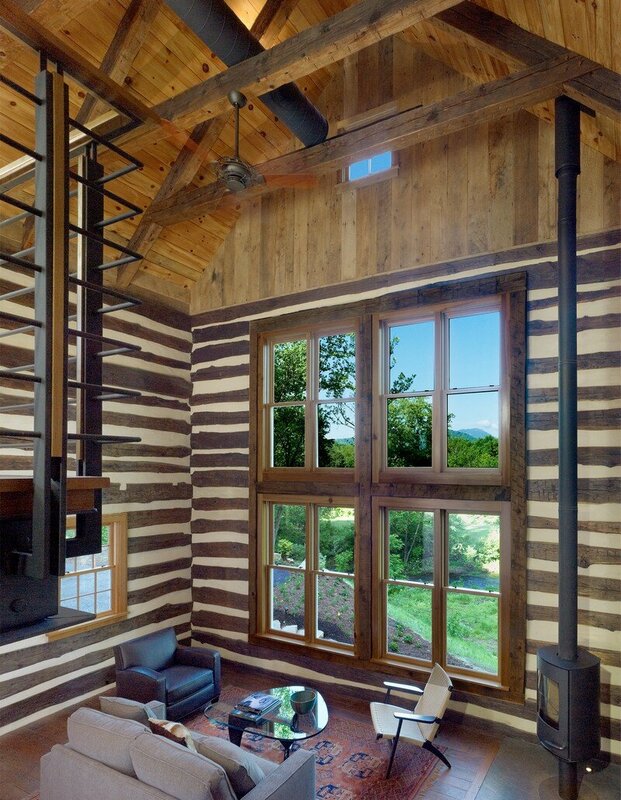 Large windows open views to the nearby river and mountain. 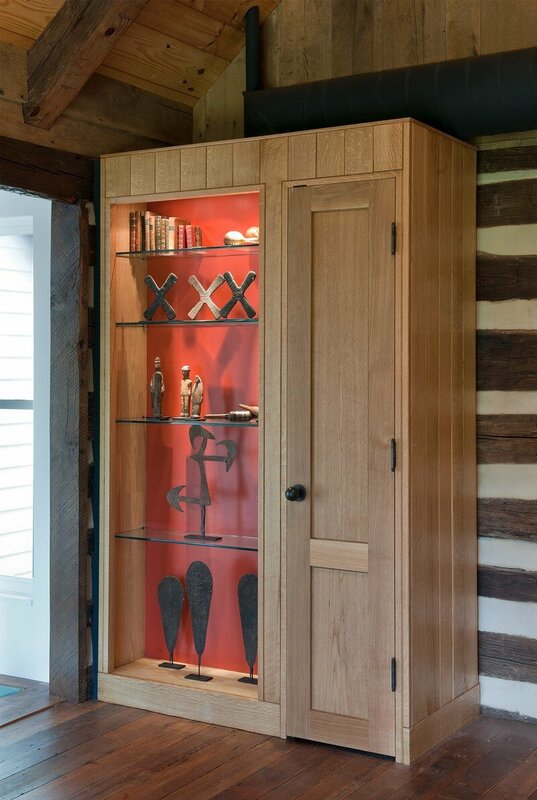 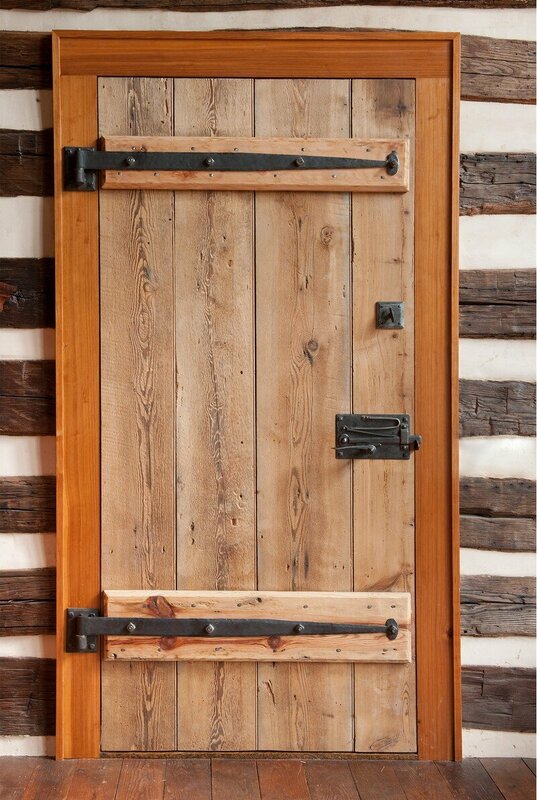 Materials and fabrication of specialty hardware are locally sourced – more than 70 percent of the wood is reclaimed from the cabins or nearby structures, including a county courthouse. 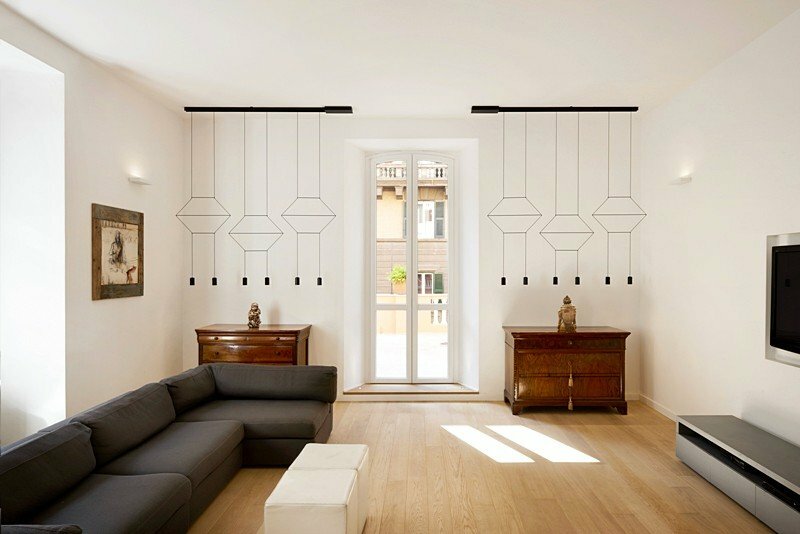 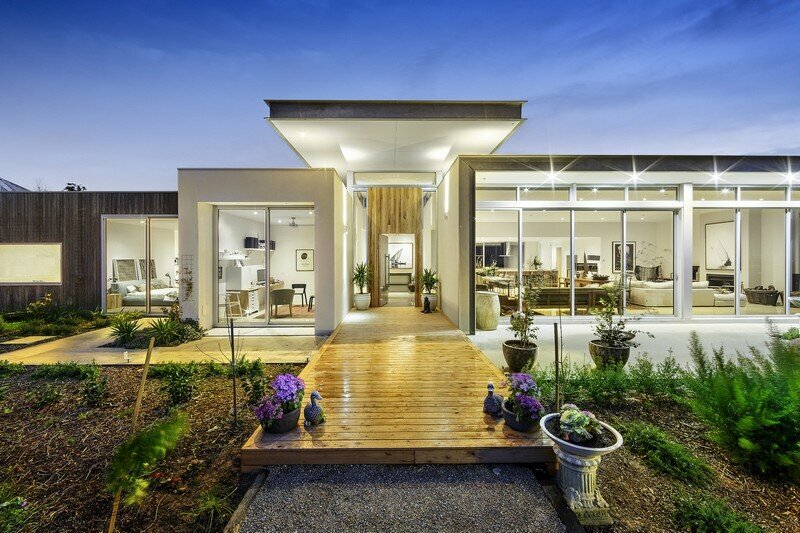 State-of-the-art modern systems are integrated into the structures without compromising their historic integrity.